The Still Hollow Trail Race will be here in just a few weeks but you’ve still got time to register and train! 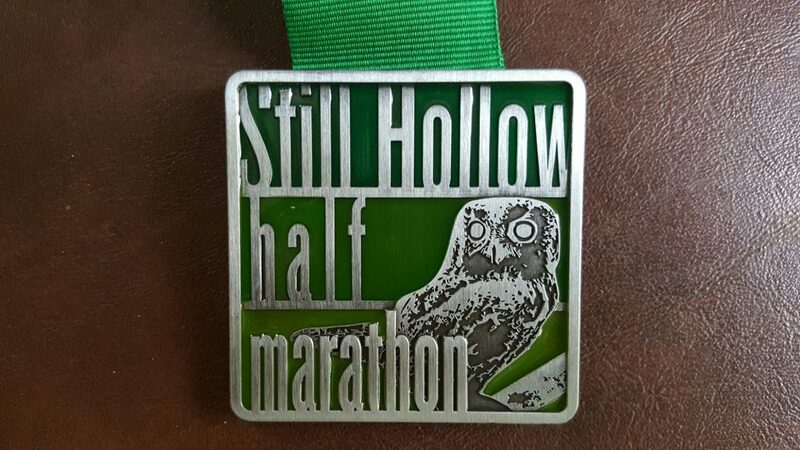 Still Hollow is definitely one of our favorite races and each year we hear the same from more and more runners. New for this year, we’re giving truly unique medals to the half marathon finishers as well as beautiful custom 8×10 canvas prints to the champion of each 5 year age group. You can see an example below of the canvas prints from the 2017 running of the Chattanooga Mountain Stage Race. Enterprise South Nature Park is the venue for one of the fastest growing trail races in the Southeast–Still Hollow 10K and Half Marathon. The wide, soft and gently rolling pedestrian only trails make the first section a perfect lead-in for the half marathon and the entire 10K race. Both races start at the same time. The second half of the longer race is on the non-technical bike trails winding through a more remote area of this widely diverse and heavily wooded nature park. REGISTER NOW or head over to the Still Hollow Trail Race page for more details.